The clown fish is one of the most iconic saltwater fish in the world. 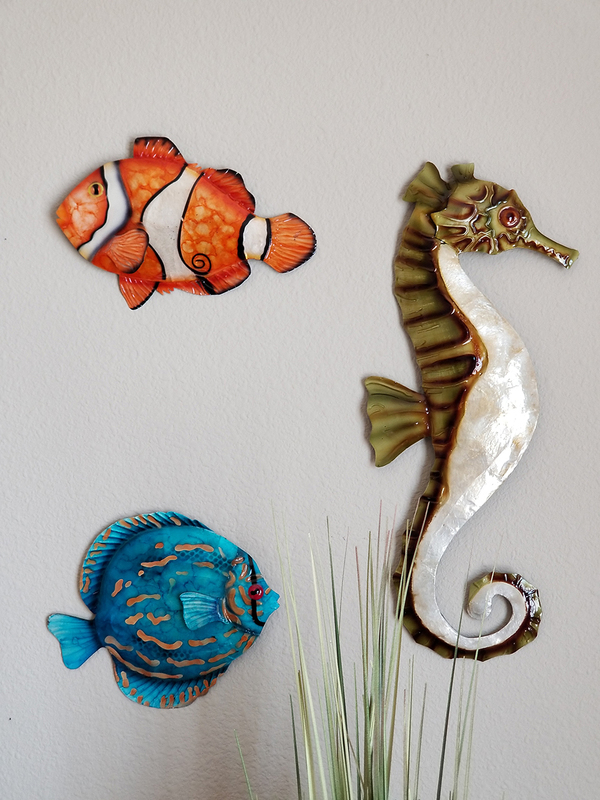 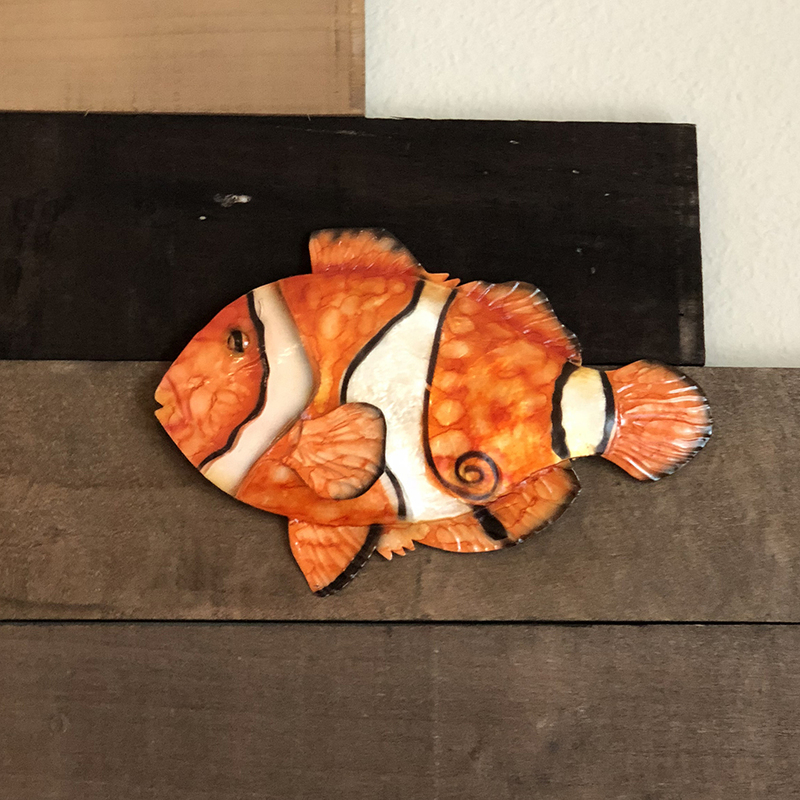 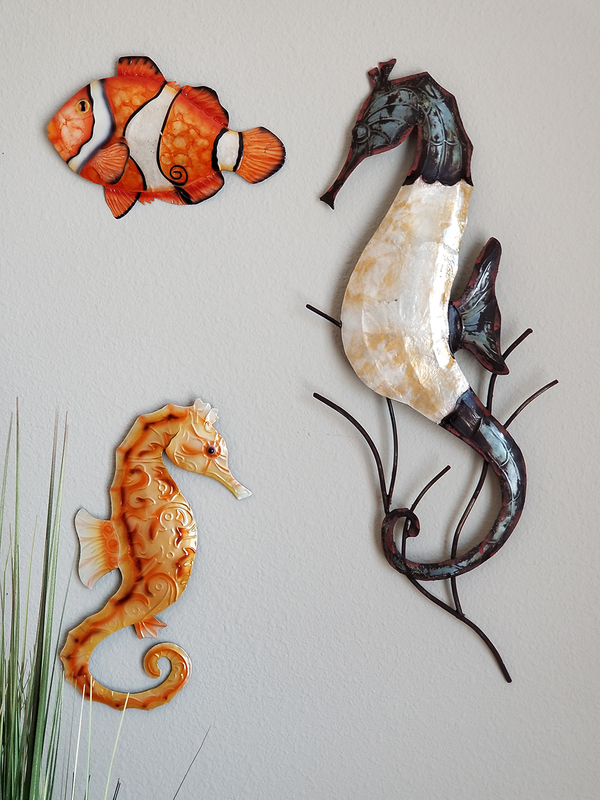 The artist wanted to make sure to capture this fish and all of what makes him stand out; therefore, instead of just a solid orange, the orange portrayed in varying shades to signify the variation one would see when up close to the fish. 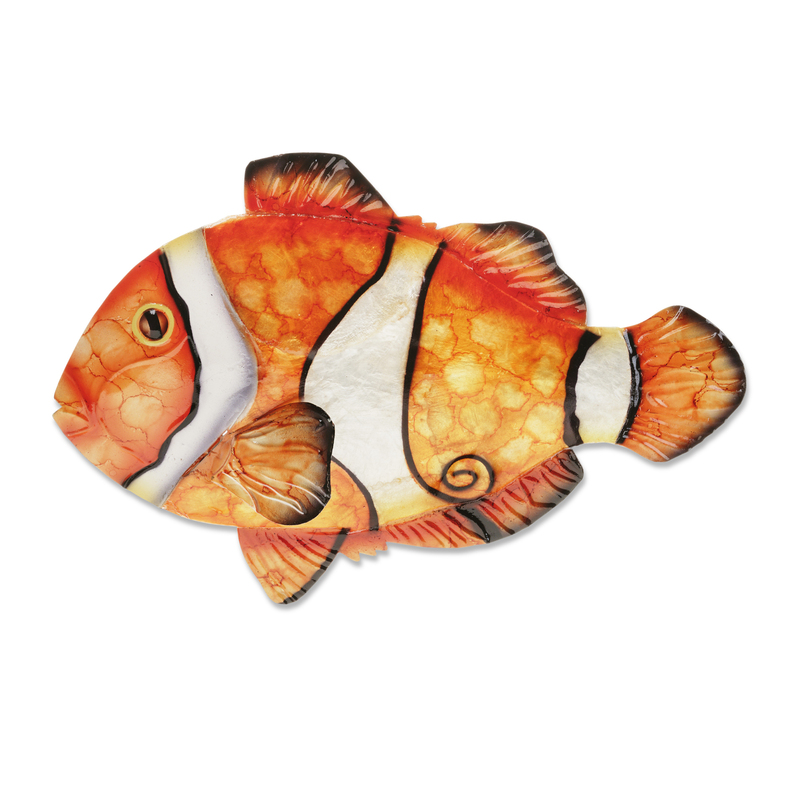 The scales of the Clown fish is enhanced by using capiz shell throughout the body of the fish, so when one hangs this fish up it will reflect and bounce the light in different ways.